Pervasive SQL Database version 11 or greater. System Five installed and connected to the dataset. System Five Application Server and the System Five Document Server installed. Google Chrome must be installed on the machines that will access the Web App. Point the installation files to the System5 bin folder. The application server installer works the same as any other installers, it will automatically look for the “bin” folder. Avoid copying the installation files from the live to training or vice versa. Make sure to do a separate install for both. You can also create a separate folder for the AppServer installation files if you don't want to install directly on the bin folders. 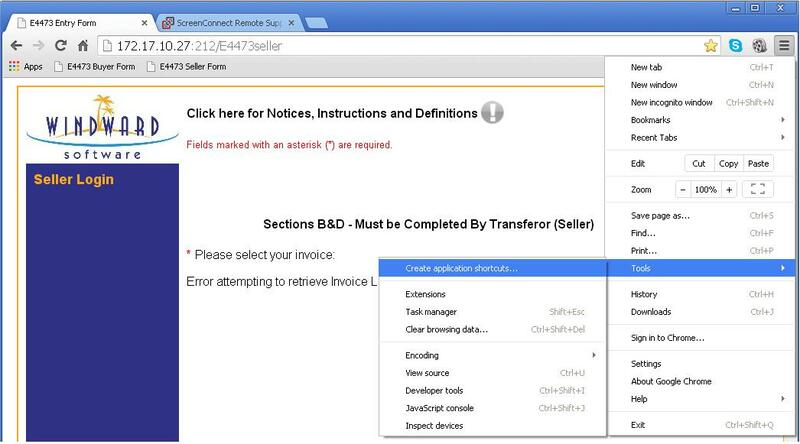 Include “S5 Document Server” during the installation process because this is a required “APP” for the gun shop forms. The S5DocumentServer executable file will be inside the folder called “s5DocumentServer”. Mobile Listening Port (212)	This is the port number used to access the webapp. You can use other port numbers here just make sure that they are not reserved ports or being used by other services or applications. As stated above, Google Chrome browser is required. It's not that it wont work using other web browsers but it is HIGHLY recommended to use Chrome. The fields below only needs to be filled in one's except for the Username and Password. The next time you access the webapp you will only need to type in your login credentials. 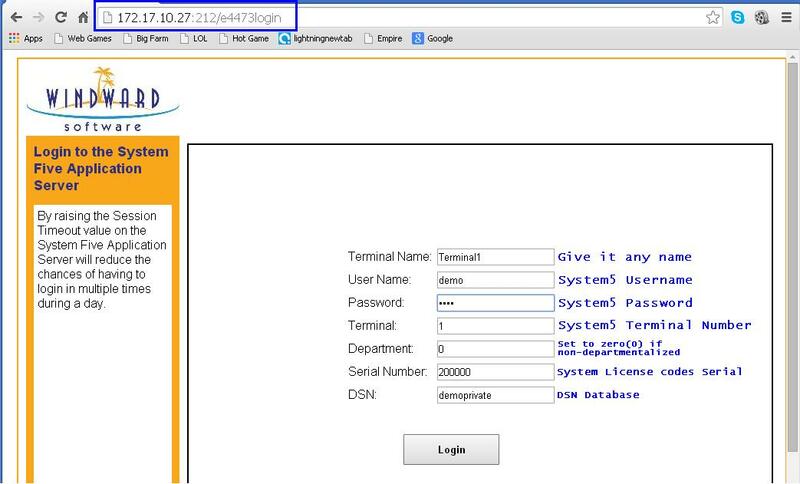 This is a needed step to ensure that the setup went well and that you are able to login. First the buyer will fill in the buyer form and once done the seller will then go ahead and also fill in the seller form. Both forms are accessed separately. 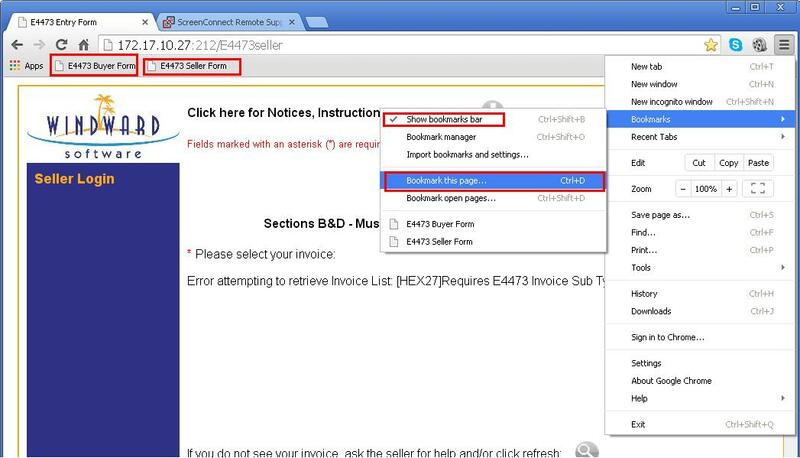 see image below..
For EASY ACCESS, we must also create a Shortcut or Bookmarks for both the BUYER and SELLER urls. see imaged below to have an idea how this is done in Google Chrome. See Article: E4473 Setup for more details.